Want to earn more money without committing to a four-year program? Check out Pennsylvania’s best community colleges by graduate salary. Pennsylvania is the sixth most populous state in the United States and home to 29 two-year schools. 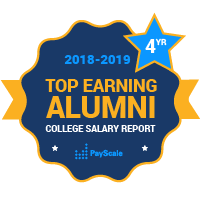 PayScale’s College Salary Report has alumni salary data for graduates from roughly half of them. If you want to earn an associate degree from a Pennsylvania college with the highest salary potential, Bucks County Community College, located outside of Philadelphia, Is a good bet. Penn State grants associate degrees as well as bachelor’s degrees. Harcum College, a private residential 2-year college in Bryn Mawr, was the first college in Pennyslvania to offer associate degrees and has many programs in the Health Sciences.